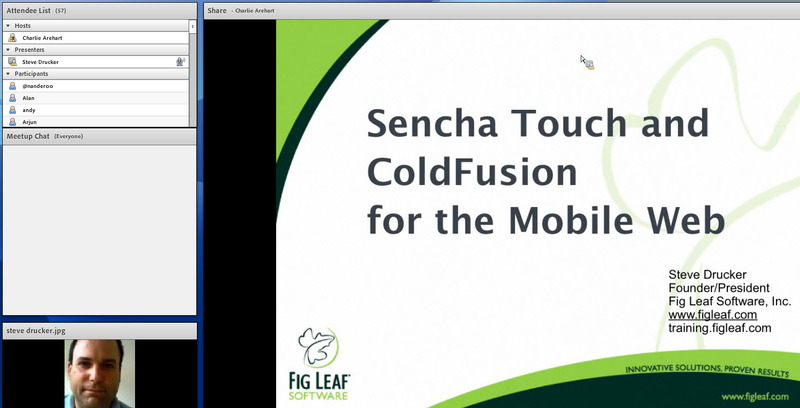 Steve Drucker presented at the ColdFusion Meetup on the power of Sencha Touch and Adobe ColdFusion for creating rich engaging mobile applications for a wide variety of mobile devices. Steve also announced the new Sencha Touch training classes as well as GWT and EXT JS classes. All classes are instructor led or in-classroom. Learn to build applications for iPhone, iPad, Android, and other devices using Sencha Touch - the first HTML 5 mobile framework! This course is targeted for those that are new to Java and GWT web development, need a refresher or who wish to expand on current Java, CSS and client-side GWT development knowledge. This course provides in-depth, coverage of the Ext GWT framework and UI components. It is targeted for those who have a solid understanding of Java, GWT and CSS and who want to get a jumpstart to being immediately productive with Ext GWT. The course is hands-on and by the end of the course, you will have built a functioning user interface with Ext GWT.